Last week I ended up browsing through Pinterest for some time. I was looking at recipes to try out as I knew it would another busy week. 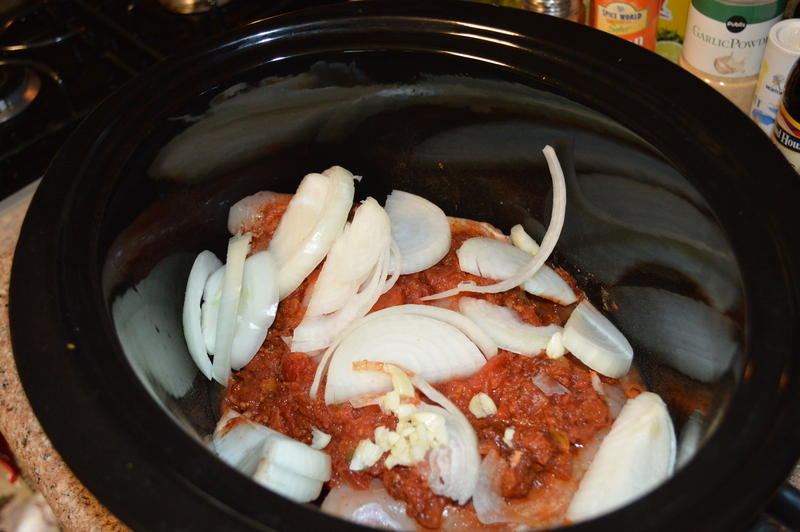 So I tried out several Crock Pot recipes. There were several good ones and lots of links to sites. I was not looking to store food in the freezer and do a full month of recipes but something simple and easy for the week. My favorite was this one for chicken tacos. I ended up adding extra to it and think this was the reason for such a tasty dinner. It was so good my husband practically licked his plate clean. I was very hungry as I had only eaten breakfast that morning and got in late from a meeting that I did not get a picture from that night. Yes I admit that I too licked my plate clean. It was so good that I had for lunch the next day. Which is what the picture is from. My flour tortillas are from Trader Joe’s and they are the closest thing as I can get to tortillas from where I grew up in Arizona. Probably because they are made in a factory in California. I simply added all ingredients and set on low for at least 6 hours. Shredded the chicken when I got home. 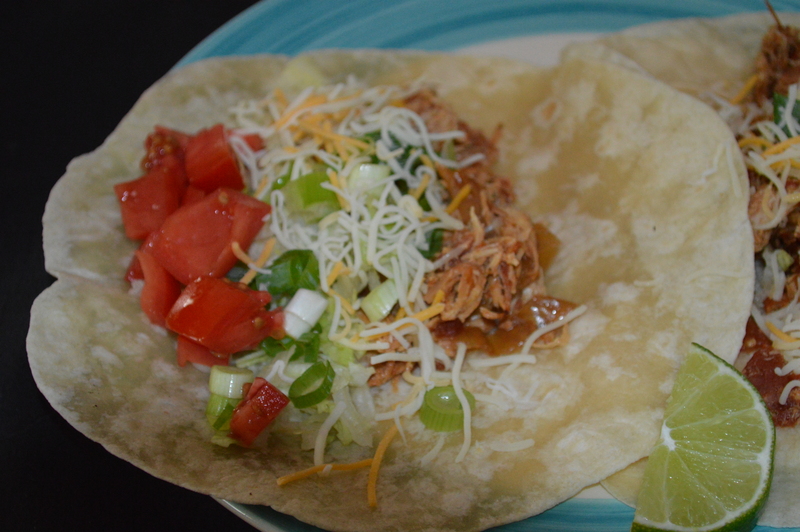 I mixed it all together and served on flour tortillas with taco toppings. It is super simple and easy. I must try this recipe. Fast and easy that is what I like. In stead of Rotel sauce I bet regular salsa would work also. I had never used Rotel in my life. This is the first time I have used it. That being said,I am sure any salsa would work but you could even use hotter stuff if wanted. Rotel is very mild and it was only a 10 oz can, so its not a whole lot you are adding to the mix.